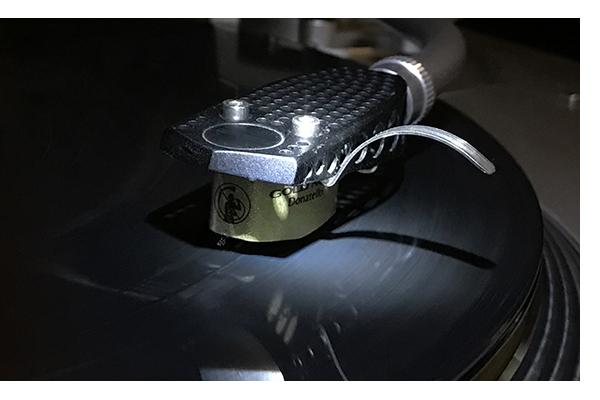 After spending a lot of time on opposite ends of the price spectrum with Gold Note’s $3,000 high output MC Machiavelli cartridge and their $385 Vasari MM, the Donatello MC strikes a great spot at $1,075 – offering tremendous sonics, versatility and value. Thanks to a .5mv output and suggested loading of 470 ohms, chances are good this gold Italian beauty will mate with all MC phonostages. It certainly did with all of ours, from the Pass Labs XS Phono to the Channel Islands HPA. Nearly all listening was done with our current favorite turntable, the Technics SL-1200 G. This $4,000 direct drive table is a breeze to set up, and offers a stable platform for every cartridge we’ve used with it. The Donatello’s micro elliptical stylus proves easy to set up and optimize quickly. A short session with the Acoustical Systems SMARTractor and the Donatello is rocking the house. 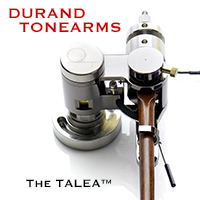 The Donatello proves equally uncomplicated to set up on Rega, SME and TriPlanar tonearms. 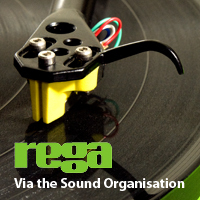 This is not a fussy cartridge, and with the right tools and a bit of careful listening, it’s an easy process. With a 1.8 – 2.2 gram suggested tracking force, the Donatello delivers the best results right in the middle at 2 grams, where the Machiavelli had to be closer to 2.2 to give its best. Suggested loading is 470 ohms, and this proves just the right match for the 500 ohm setting on the Audio Research REF Phono 3. Those not having an MC input can opt for the red, high output version of Donatello, producing 1.8mv of signal (just like the high output Machiavelli) and working with a standard 47k loading factor. First LP on the list? An old copy of Grand Funk Railroad’s We’re an American Band, on gold vinyl! Why not? Even though this is only an average pressing, Todd Rundgren’s production values come right through and the sheer dynamics hit me in the face, blasting through my Klipsch LaScalas. This is rock and roll, baby. A few of my favorite Jimi Hendrix records are also wonderfully revealing, with a lot of body and bite to the guitars, while placing all three members of this famous trio out and about in my listening room. 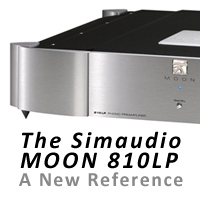 Moving to a more contemporary system (AVID Volvere SP/SME 309 and the new Esoteric F-07 integrated amplifier, via the Focal Sopra no.3s) and many records later, I’m convinced that the Donatello has what it takes to play any kind of music with ease. While not quite as resolving as the Machiavelli, the same basic tonal character is intact. Both the Machiavelli and the Donatello remind me of the Clearaudio Goldfinger in the sense that tonally they are ever so slightly on the warm side of the scale, with an extra shot of tonal saturation, yet still very dynamic. It’s a character that never fails to engage the listener. Gold Note’s Tommaso Dolfi explains to me “Without the Machiavelli and the Tuscany, there would be no Donatello. 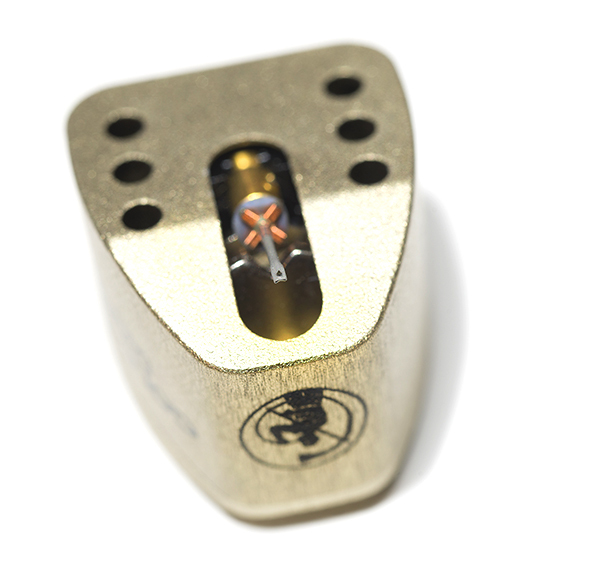 We were able to apply a lot of what we learned designing these models to the Donatello’s cantilever to create a very versatile and light cartridge.” Having Machiavelli and Donatello close by, it’s easy to hear the lineage. 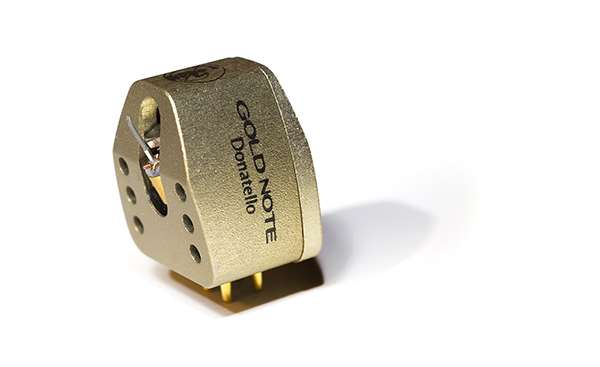 Enticing midrange is a given with Gold Note, but the Donatello delivers the goods at both ends of the sonic spectrum. Bass is deep and well defined, with good transient attack and tracking ability. Jaco Pastorius’ self-titled record is a perfect torture test for bass trackability and the Donatello zooms through his most dense and compact performances with ease. Tracking throughout the rest of the audio range proves equally good, and the Donatello handles the more complex bands of my Shure test record as well as known problematic LPs too. The upper end of the frequency spectrum is also well represented. Careful listening of acoustic music reveals the difference between the Donatello and its much more expensive sibling – the Donatello gets the basic groove right, but there is more tonal saturation with the more expensive cartridge. Of course that’s what you pay the extra money for and what justifies the additional expense. Those listening to a lot of newer vinyl releases, and especially those with more rock and electronic tastes might not notice the difference as easily. The Donatello paints a soundstage that is wide and deep. Unless you are listening to a very recent release that has been sourced from digital anyway, you’ll never mistake the sound of the Donatello for digital – and that’s good news. Going through a series of Kraftwerk remasters, along with Jean-Michel Jarre favorites (and a little Eno on the side) has the Donatello engulfing me in between the Focal Sopra no. 3s. This is a particularly fun cartridge if you love electronic music! Where the Gold Note Donatello excels is providing an equally high level of performance in all areas. 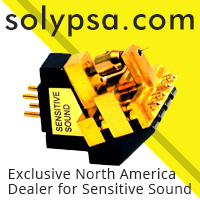 They have not sacrificed one aspect of analog performance for any other. 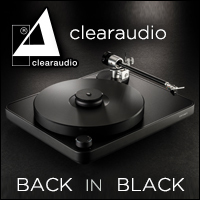 Often in this price range manufacturers hang their hat on one aspect of analog reproduction, letting others fall behind, making for an unbalanced, if you will, sound. The Donatello is easy to set up, tracks difficult musical passages with ease and sounds great. What else could you want? It’s become my new reference in the thousand-dollar cartridge category. And it has a gold body. How awesome is that?